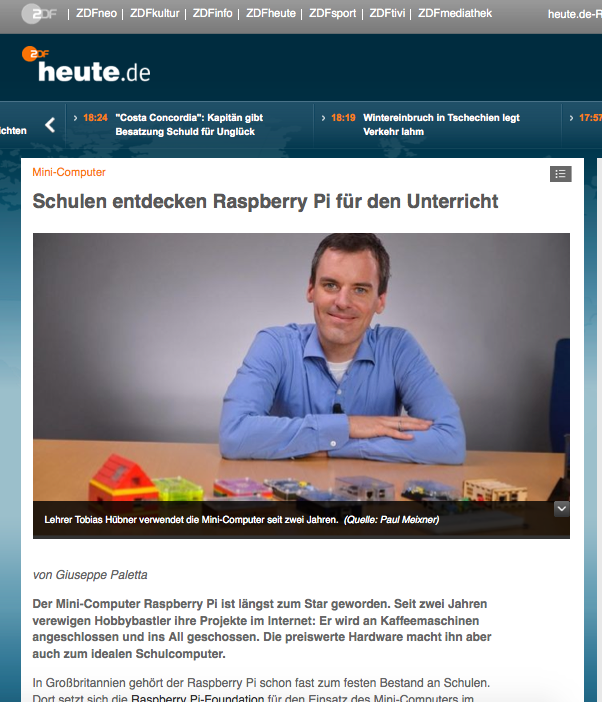 Some time ago, I gave a TEDx-talk at the Ruhr University Bochum (TEDxRUB) about the Raspberry Pi, which is now available on YouTube. The topic of the event was „How To Build A Better World“. My talk tries to answer one question: What is it, that everybody should know about computers? It was a fantastic and very professionell organized event. You should also check out the other talks, for example „From Hackers to Founders to a Better World“ by Dr. Christian Zenger, „Schools as Spaces for Change“ by Charlotte Frey or „The Importance of Preserving Memories“ by Ruth-Anne Damm.